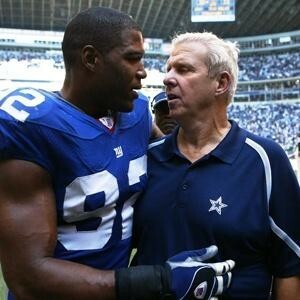 Both Michael Strahan and Bill Parcells could be part of the Hall of Fame Class of 2013. Selecting which candidates will gain admission into the Pro Football Hall of Fame is never easy, but with a number of deserving first time eligible players joining a crowded list of holdover candidates, whittling down the field will be especially challenging this time around. Making their debut among the Hall of Fame finalists are four players that all seem destined to one-day receive a bust in the Hall of Fame: Michael Strahan, Warren Sapp, Larry Allen and Jonathan Ogden. Given the greatness they each exhibited during their careers, the question isn’t if they will get into the Hall, but when. Joining these four newcomers among the 15 modern candidates are 11 former players, coaches and owners who all are making a return engagement among the HOF finalists and who all have compelling resumes that seem warranted of getting them into the Hall. 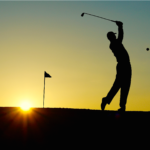 The selection committee will have the tough challenge of narrowing the list from 15 to more than five players who will be part of the Class of 2013. In addition, the committee will separately decide if former defensive stars Dave Robinson and Curley Culp will receive football immortality this year. As I have chronicled in previous HOF columns over the years, the selection committee is today paying for their past indiscretions. The reason for the huge glut of deserving candidates is that the committee spent a prolonged period in the early part of the millennium making a mockery of the selection process. Between 1995 and 2005 the voters chose the fully allowed compliment of five modern candidates only one time. The situation culminated in 2005 when only two modern era candidates were selected. 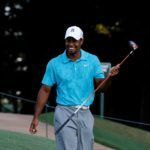 Interestingly enough, since 2006 24 players who were eligible for the Hall of Fame in 2005 have been inducted to the HOF. I would love to find out from the HOF voters exactly what those players did after 2005 to increase their worthiness for selection. Of the four new candidates, you could very easily make a case for each one to receive entry in their first year of eligibility. All four players earned at least one Super Bowl ring and were regular participants in the Pro Bowl. Predicting what the HOF voters will do is never very easy, but given their past history of making deserving candidates wait at least one year before making it into the Hall, it seems doubtful that first year candidates will serve as a majority in the Class of 2013. Because of his media stature, I would not be surprised if former New York Giants defensive end Michael Strahan finds his way into the HOF in his initial year on the ballot. Among the three other first-time candidates, both Allen and Ogden were among the best offensive linemen of their era, but former Kansas City Chief guard Will Shields also fits in that category and he served his seemingly mandatory waiting year in 2012 so it would not be surprising if he gains a spot in the Hall this year with Allen and Ogden waiting for at least one year. The fourth newcomer, Warren Sapp, also will one-day earn a spot in the Hall, but with former defensive players Kevin Greene, Aneas Williams and Charles Haley waiting in the wings it might be tough for Sapp to receive the necessary support the first time around. Something that will be very interesting to watch is whether his death in 2012 will help lift former Cleveland Browns and Baltimore Ravens owner Art Modell into the Hall after years of being denied. Former San Francisco 49ers owner Eddie Debartalo Jr. is also a ballot holdover and with the 49ers now back in the Super Bowl for the first time since he was the owner, there could be some support for him this time around. Last year there was a great deal of media questioning of why two-time Super Bowl winning coach Bill Parcells did not earn induction and it seems likely that he will gain enough support this year. Among the other holdover candidates, the two who seem likely to earn a spot in the Hall of Fame are receiver Cris Carter and running back Jerome Bettis. Both have Hall worthy statistics and have served their apprenticeship waiting for their turn on the dais. 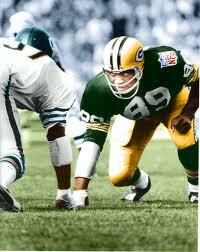 Dave Robinson would be the 11th member of the 1960s Green Bay Packers to earn a spot in Canton. The choice of former Green Bay Packers linebacker Dave Robinson as one of the senior candidates is a very interesting twist that could raise some very curious questions about another former Packer who is not in the HOF. Just about every list of former players not in the HOF has former Packers offensive lineman Jerry Kramer at or near the top of the list. The primary lead blocker for the legendary Packer sweep, Kramer was a 10-time HOF finalist between 1974 and 1997, but has not been considered since. Popular speculation was that Kramer was a victim of the fact that 10 of his former Green Bay teammates (plus coach Vince Lombardi) were already in the HOF and there was a backlash among those who think there were enough Packers in the Hall. However, if Robinson, who retired in 1974, but has never previously been a HOF finalist, is suddenly inducted, you can remove that theory and instead clearly see that there is some kind of personal bias against Kramer. Like Robinson, the other senior candidate, Curley Culp, has never previously been a finalist. A six time Pro Bowler during 14 NFL seasons, Culp was a solid nose tackle for the Chiefs, Oilers and Lions. 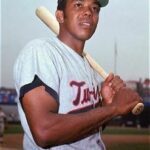 If you had to choose between Robinson, Culp, Williams, Greene, Haley and Sapp as being HOF worthy, it would be hard to support either senior candidate, but because the HOF chooses senior candidates separately, the inclusion of either Robinson or Culp will have no impact on which of the other candidates is selected. In my opinion, the only way the HOF committee can really go wrong in 2013 is if they do not select the maximum number of five modern era candidates. My prediction is that this will finally be the year when Cris Carter takes his place among football’s immortals and he will be joined by Parcells, Shields, Strahan, Modell, Robinson and Culp as the Pro Football Hall of Fame Class of 2013.